Now that Jesus's birth has been manifested to the world, His ministry begins. Jesus not only tells us what we should do but he actually does what we should do: he is baptized in the River Jordan. 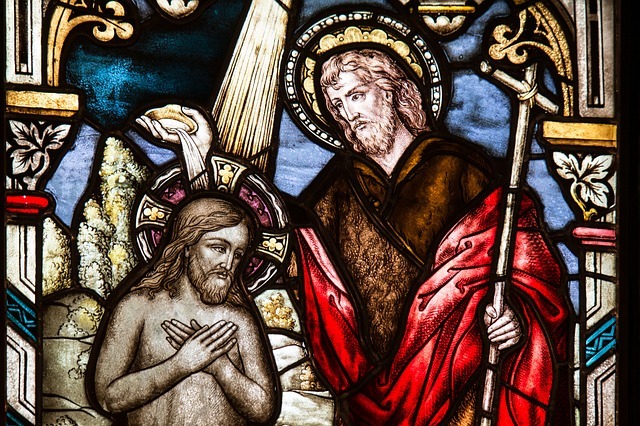 Jesus did not need to be baptized like we do. He did not contract the stain of Original Sin. He followed His Father's Will and as a result gave water the property, as it were, to cleanse us from Original Sin. The Fathers of the Church said that when Jesus was baptized, the waters were made sweet. During His Baptism there was the manifestation of the Holy Trinity. The Father's voice is heard, Jesus is in the River Jordan, and the Holy Spirit appears the in form of a dove. In other words, Jesus is real and everything He does and says is of great importance and on purpose. We must continue to act accordingly if we want to be part of His Kingdom.